Andy Rathbone » How does a System Image differ from a backup of Windows’ registry? Q: What’s the difference between a System Image backup versus a backup of the registry? When should we back up the registry? 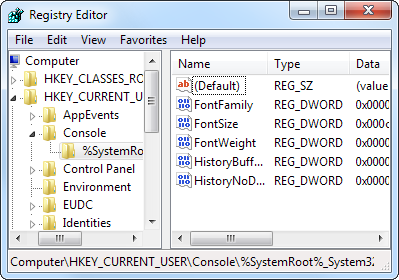 A: The Windows registry is simply a database: a bunch of text and numbers, as shown to the left. 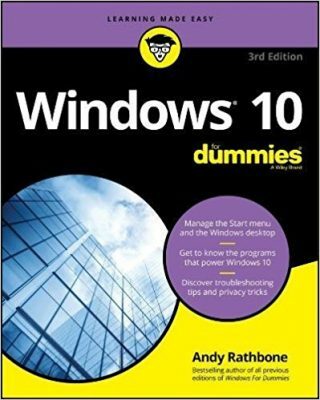 It’s a mighty powerful database, though, because Windows stores thousands of important settings inside it. The registry keeps track of Windows’ own settings, as well as those involving your computer’s hardware, your programs, and any settings you’ve made. If something goes wrong in the registry, you’ll have serious problems. Windows may not even start, leaving you with little clue as to what’s wrong. And some viruses head straight for the registry, so they can reinfect your computer whenever it’s turned on. But even though the registry is essential in keeping Windows running smoothly, you’ll only need to back it up for one reason: When you’re about to fiddle with it, changing some of the entries. Making a simple typo in the registry can disable your computer. Windows automatically backs up your registry every day with System Restore. When you run System Restore, Windows heads for its own backup copy of the registry, and installs that, hoping to repair any damage that’s causing your problem. If you’re already creating a System Image (and you should be), you’re backing up everything on your C: drive: Windows, your programs, and your data. And, your System Image contains your registry, as well. That means your registry is already backed up: once a day by System Restore, and again every time you create a System Image. Click the Computer icon at the top of the registry. In the Save in box, choose where you want to save the backup copy, and then type a name for the backup file in the File name box. Since a lot of information to be backed up, the process might take a few minutes. That said, I advise staying away from the registry unless you know exactly what you’re doing.